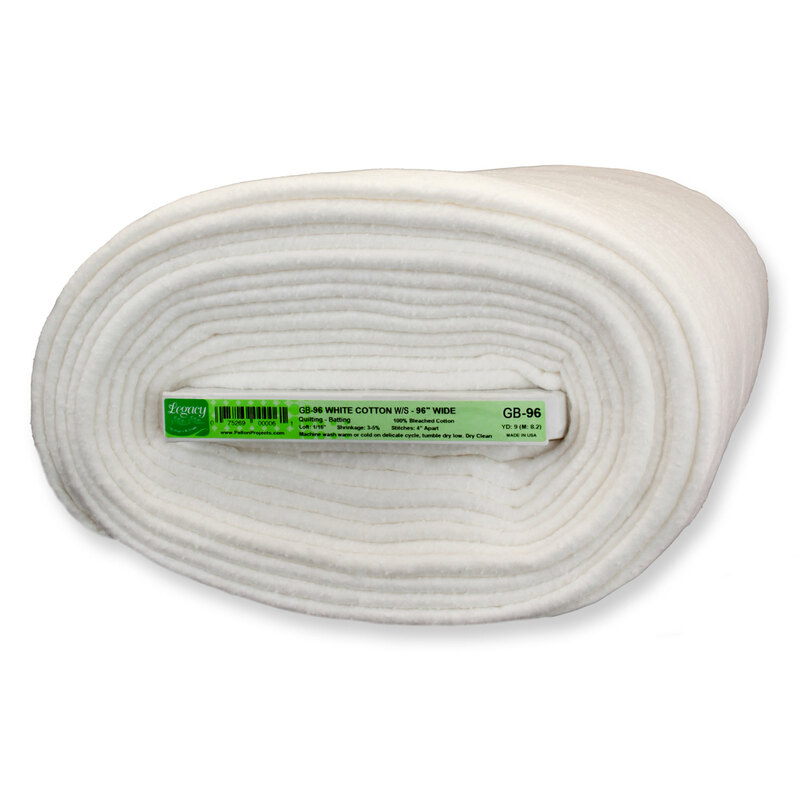 Made with 100% bleached cotton and is best for light and white colored quilts. Needle punched to provide a strong, thin material with no shifting or tearing. Machine wash cool, tumble dry on low heat. Loft 1/16". Shrinks 3-5%. Stitch space 4". Excellent for hand and machine quilting.